Evangelion Unit 01 is the flagship mecha of the Evangelion saga. She is piloted by the series’ protagonist Shinji Ikari and inhabited by the soul of his mother, Yui Ikari. 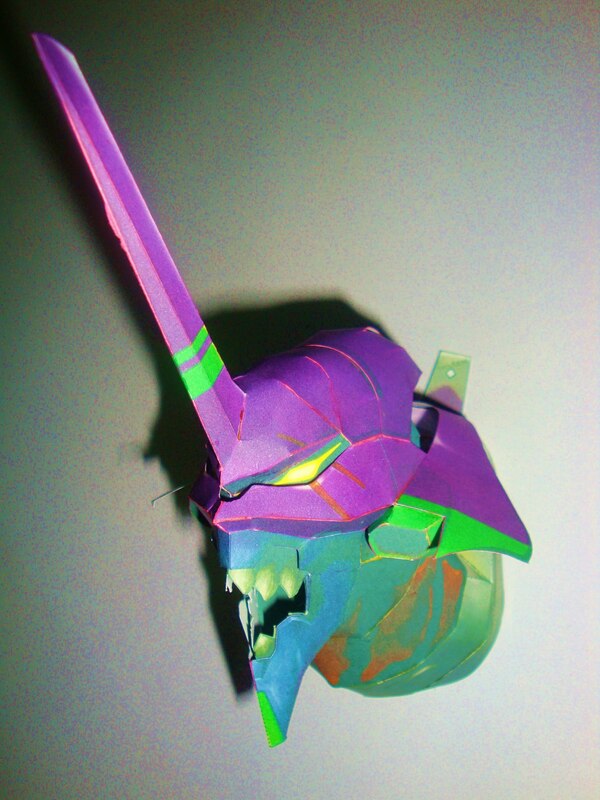 Evangelion Unit 01 or Eva 01 was produced by the Hakone branch of Gehirn as the Evangelion Test Type model. Unlike the other Evas, she was generated directly from the body of Lilith, and is consequently referred to as Lilith’s “offspring” or “clone”. On a physical level, Eva 01 has the same characteristics as an Adam-based Evangelion, so the exact nature of her relationship to Lilith remains a subject of debate. Eva 01 received her “soul” as a result of the Contact Experiment with Yui Ikari in 2004, but was not “finished” until 2014. As with the rest of the Eva Series, she was ostensibly created as a weapon to be used against the Angels, and she was the first Evangelion to face actual combat (against the Third Angel Sachiel). Eva 01 is infamous for going berserk and moving without any power supply (prior to the acquisition of the S² Engine from the Angel Zeruel). While Eva 00 has gone out of control before and Eva Unit 02 goes berserk immediately before being destroyed, Eva 01 is the only Eva that has gone berserk in direct combat, to deadly effect. I love doing Chokipeta paper models because it does not rely mostly on rigid polygonal shapes. The curves are very effective.